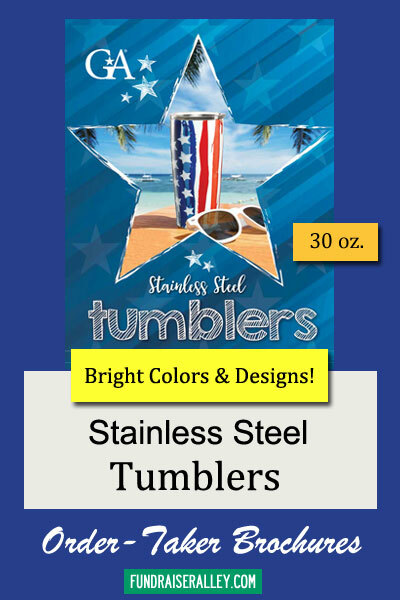 These Stainless Steel Tumblers will make a great fundraiser for any school, team, club or group. 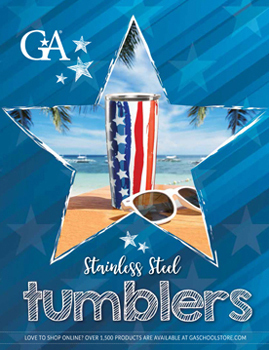 Everyone loves a tumbler to take with them to keep their beverage hot or cold. The large 30 and 20 ounce tumblers include a drink-thru top. They sell for $25 each. You will earn a 40% profit. We recommend this Stainless Steel Tumbler fundraiser for any school, team, club, or group!